Sherri Romanoski, Founder of BAG IT, transitioned from the position of Executive Director to a new role of Senior Advisor in April, 2017. This is a blog about what she is doing now with and for BAG IT. So what does a Senior Advisor do? I get to focus on areas that benefit BAG IT but also tap into my skills acquired over the years working with BAG IT, my classroom teaching, curriculum writing, and grant writing. Who gets to do that? Use all their skills and experience to advance a worthwhile effort? A very happy person! Grant writing is a technical skill that benefits an organization to bring in much needed revenue as well as raise awareness and effectiveness of programs. 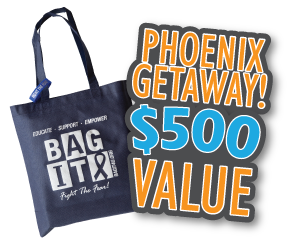 Since April, I have been focused on submitting or helping with submissions of 15 grants for both BAG IT and one of its programs, ESCAPE to Thrive Leadership Conference for Cancer Advocates. We are hopeful that many will award funding. 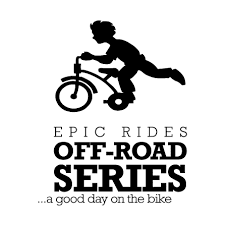 Our grants are submitted to foundations, corporations, and partners. ESCAPE to Thrive Leadership Conference for Cancer Advocates was launched in 2011. 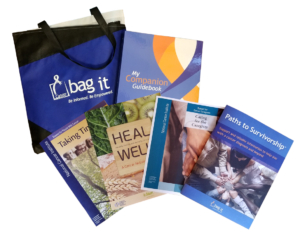 It’s an interesting story…BAG IT had been helping USOncology with its Life Beyond Cancer Conference (LBC) for survivors for eight years beginning in 2003. Those of us who developed, organized, and managed the conference had a hope – to someday support survivors who were encouraged to return to their communities from Life Beyond Cancer and fill gaps in cancer care with organizations, programs, and efforts. In essence, become advocates. (The seed for BAG IT was actually planted at this conference in 2001 when my mom and I, both cancer survivors, attended and got truly inspired.) After much deliberation, when the LBC run came to a close, the key people were tired and ready to move on. Except for me. With approval from a very understanding BAG IT Board that was willing to pilot an extremely unique conference, we launched ESCAPE to Thrive. That was seven years ago. I am responsible for its development, conceptual framework, and management with tremendous support and expertise from our amazing BAG IT staff. The topics, attendees, speakers, and schedule changes each year but fundamentally, it supports cancer advocates in the tremendously tough job they do in educating and supporting cancer patients. ESCAPE to Thrive is a lot of heart-wrenching work on many levels. I love it. I hope I have the energy to keep doing it and we can get enough financial support to continue this supportive program for fellow advocates. It’s our gift to them. The third and most lovely task I have is to mentor and support our new young leader and Executive Director, Mindy Griffith. She believes so much in our work, is anxious to learn, and shows an intense desire to lead BAG IT to its next level. I have been a teacher in one form or another since 1974. Mentoring Mindy is a joy and I anticipate and expect great things from her….including change!